for large, advanced offshore vessels. 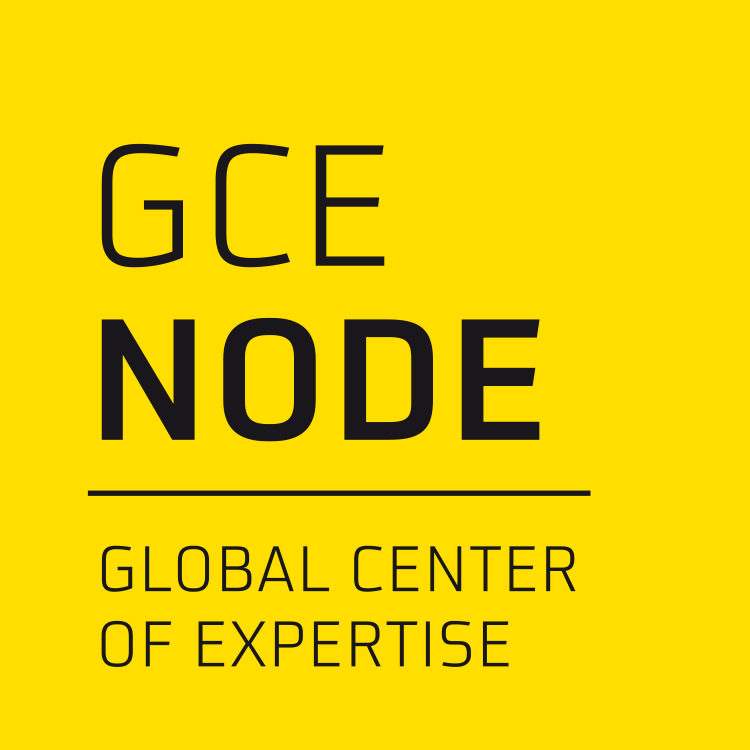 GCE NODE, a world-leading technology cluster serving the global energy and maritime industries. 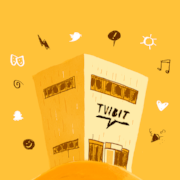 A leading international environment for innovation and knowledge in media and technology. Our mission is to improve quality in treatment and care by developing and industrializing world class health solutions through our members and ecosystem. NCE Tourism-Fjord Norway will link a world-leading tourism industry to the fjords, with each other, leading experts, research and public support. The goal is that the more than one thousand companies living in full or in part from tourism in the fjords will lift themselves. 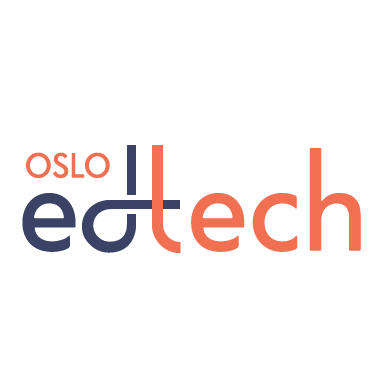 Oslo Edtech Cluster is a business network established to support development, commercialization and export of Norwegian educational technologies. 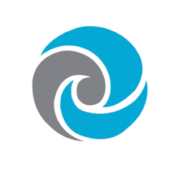 The Innlandet VR Forum is a yearly VR/AR conference organised by the regional business development institution Hamarregionen Utvikling and the VR cluster “VRINN” (VR Forum Innlandet). In 2017 Sykehuset Innlandet HF and Computerworld were co-organizers. The ADAPA companies are focused on bringing about the change in how we experience our surroundings, using specially designed camera systems and immersing the viewer using virtual reality and mixed reality technologies. SINTEF is an independent, non-commercial organisation. The profits of our contract research projects are invested in new research, scientific equipment and competence development. Oslotech is an independent company with a mission to stimulate business growth in Norway’s most knowledge-intensive region – Oslo. We want to contribute to the creation of more companies, and more value out of Oslo’s research- and technology communities. The International Virtual Reality Photography Association is an international association of professionals who create and produce 360° interactive, immersive experiences. Makes creating beautiful VR extremely simple. ÅKP Blue Innovation Arena er fremtidens digitale arena for innovasjon og verdiskaping. Her skal vi koble studenter, gründere og etablert næringsliv sammen. ÅKP Blue Innovation Arena is the arena for the future of digital technology for innovations and value creation. Here we're going to connect students, entrepreneurs and established businesses together. Den norske filmskolen tilbyr kunstfaglig utdanning: bachelor og master i film- og fjernsynsfag basert på teoretisk og praktisk undervisning. Norsk filminstitutt (NFI) er underlagt Kulturdepartementet og er statens forvaltningsorgan på filmområdet og rådgiver i filmpolitiske spørsmål. Gjennom forskrifter og sitt mandat har NFI ansvaret for å sette regjeringens filmpolitikk ut i livet. The Norwegian Directors Guild is a union organising directors of documentaries, television, animation, short- and feature films. It's aim is to uphold the the artistic rights, the copyright and judicial and financial interests of the directors. We work to improve the standards of film in Norway, as well as to help increase exposure for directors within the business and in society in general. In addition The Norwegian Directors Guild aims to accommodate extensive intercollegial contact. Innovation and New Technologies are essential success factors in every sectors in terms of development and growth of business. 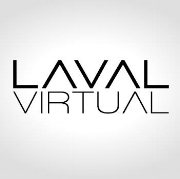 Since 1999, Laval Virtual is the reference event of these evolutions and the European leader in the New Technologies sector and uses of Virtual : Industry, Medicine, Training, etc. REWIND fuses bleeding-edge technology with award-winning creative storytelling. 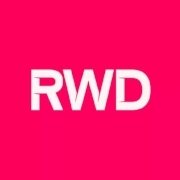 By delivering immersive experiences for the world's largest studios, agencies and brands, REWIND leads the way in innovative content creation. The team combines its deep-rooted heritage in VFX and CGI production, with an industry defining approach to VR, AR, MR and experiential marketing. REWIND works closely as an approved developer with Oculus, HTC, Sony, Samsung, Google, FOVE and Microsoft HoloLens. REWIND is considered a world leading and trusted VR production partner, by the likes of the BBC, HBO, NBC Universal, Sony, Red Bull, Rolls Royce, Jaguar and Björk. For å imøtekomme fremtidige utfordringer som voksende helseutgifter, aldrende befolkning, mangel på fagpersonell og lignende er det et stort behov for å utvikle nye produkter og tjenester i sykehuset og i samhandling med førstelinjetjenesten. Det skilles mellom produkt og tjenesteinnovasjon, men kombinasjoner forekommer. Begge kan ha sin opprinnelse som forskningsbasert eller bruker- eller medarbeiderdrevet innovasjon. The Hub is an online platform tailored to the needs of growth startups in the Nordics. We help these companies with recruitment, raising capital, event overview and best practice tools free of charge! Impact Reality delivers immersive VR experiences with data harvesting and analytics to enhance your business goals. We are a team of entrepreneurs, scientists and engineers. We develop new visualization and analysis methods of various types of medical data. Xvision Consulting is a specialist in the production of innovative and interactive digital content, with a focus on 3D design, storytelling and strategic communication. Sunnaas sykehus HF er Norges største spesialsykehus innen rehabilitering og fysikalsk medisin. Våre målgrupper er pasienter med behov for rehabilitering etter ryggmargsskader, alvorlige hodeskader, multitraumer, brannskader og nevrologiske sykdommer. Visualiz is a virtual reality enterprise platform for collaboration, data visualization and business intelligence. 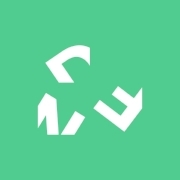 Geoconsult is an internationally active engineering company | In Vienna, www.gcvision.at is specialized in interactive visualization & simulation, offering a unique and feature-rich real-time-viewer software and expert knowledge for accompanying various infrastructure projects. Oslo and Akershus University College of Applied Sciences (HiOA) offers many courses and programmes for international students. Application procedures vary according to what kind of courses or programmes you want to apply to. We are the next generation! Virtual Reality Norway is a group on Facebook for those who work with and have interest for VR. Philosofie is a Norway based VR company making 3D visualizations for real estate companies. They use storytelling as a tool to immerse the viewer into a virtual experience, letting people attend showings in a virtual open house. Your employees get to practice procedures and interact with customers or patients, in a virtual replica of their work space. Attensi simulations are different from other training solutions. 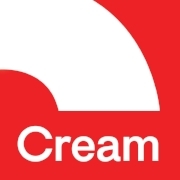 They use a unique blend of gamification and realism, combined with deep and varied interactivity. The simulations adapt to the individual participant, making them fun and engaging. 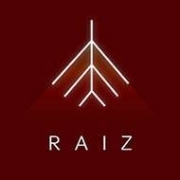 Raiz delivers 3D modellem photorealistic spaces for integration in VR. Using photogrammetry techniques combined with game engines to deliver hyper-realistic 3D environments. Rad Geosystems offers mission critical support and services to customers across the globe. Primarily Rad Geosystems works within Geo Sciences domain involving LiDAR, Airborne Imagery, and other sensor based technologies to deliver seamless data visualization and 3D modelling. The rapid intensity in technological innovations has made silent entry into our daily life and we, as a company, are determined to serve the needs. writing and photography gathered at EVR STUDIO to create the best VR experience. and VR videos through its internal EVR LAB. By Susanne Dickel and Martin Heller. Production and Distribution of Virtual Reality Content. 360 Video + stereo 3D VR. Content Marketing, News, Reportage. Evrbit is a cutting edge software development company. Connecting physical and digital worlds as they are one natural environment. Therefore we developed digital swarm characteristics to enable magic group experiences with endless numbers of devices working together as one organism. We love to create applications, bring people together by using technology as a part our social environment. 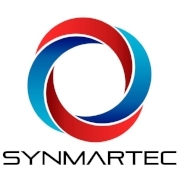 Our Sync technology enables completely new opportunities in many markets and is used already in the fields of Education, Entertainment and Gaming. VR360, Original and Branded Content Producers. A collection of content creators combining emerging technologies with traditional storytelling to create powerful immersive experiences. Vi er et digitalt fullservice mediebyrå med fokus på resultatbasert markedsføring, digitale strategier, og datadrevet verdiskapning hvor vi øker våre kunders konverteringsrate og inntekter. Sammen skaper vi positiv ROI – meravkastning. 360 AirCam by Arild Solberg provides stunning 360 imagery shot using Hasselblad cameras. Seeing is believing. Using proprietary hardware, software, workflow, and creative processes, the EolianVR team is capable of delivering top-caliber VR Videos, quickly. We have access to some of the World’s most prolific photographers and directors, who are excited to experiment with VR as a platform for storytelling. Thrillbox is an Austin, Tx immersive media platform. We produce some of the best 360 content in the space. We have some of the only platform and device agnostic immersive media players. We have the only behavioral analytics platform for VR, AR and 360 videos. Nye Tvibit er et produksjons- og kompetansesenter for bredde og profesjonelle innen musikk, ung kultur, helse, film og kreativ virksomhet. Westerdals Oslo School of Arts, Communication and Technology (Westerdals Oslo ACT) er en unik, bransjenær og nyskapende høyskole for deg som vil jobbe innen kunst, kommunikasjon og teknologi. Our services: Corporate videos, commercials, music videos, documentaries and films. As a company, we are committed to our vision, mission, and superior results. We are absolutely certain we succeed only when our services help our clients succeed. 360 Films is a Gold Coast based startup producing 4k - 6k 360 degree videos which can be viewed in VR. We produce 360 videos and virtual reality apps for marketing, tourism, real estate, weddings, and events. Holocap is a system for scanning and presenting humans in Virtual Reality in real-time using a low cost depth camera. Use cases includes sales and VR showrooms, education, simulation and training, film/theater pre-visualization, story-boarding etc. Live performances may be recorded, or mixed with previously recorded and scripted "holograms" for maximum flexibility. Professionals (e.g. doctors, tutors, financial advisers, psychologists etc) can meet their clients online via video with the self-service solution we're developing. Our mission of AfriEDX is to bring Creativity and social development within African Community through Innovative technologies. Kong Arthur er en IT-bedrift med et historisk navn og visjoner inn i framtiden. I følge mytene var Kong Arthur en leder som så at når han ga sine undersåtter tillitt og armslag så presterte de bedre og la hjertet og sjel i oppgaven. Kong Arthur er muligens en historisk person, men hans idéer rundt ledelser er en kilde til inspirasjon - og like aktuelt i dag. Create stories that delight, that lead to unexplored virtual reality places, create innovative experiences and tell the perfect story for each client. This is our ultimate goal. Since October 2016 we specialize in offering VR experiences for you, your customers and your clients at our location in Kortrijk or at your home. In alquilercamara360.com we work every day to put at your disposal the latest 360 recording solutions . We rent 360 cameras, accessories and lenses for your 360 videos. Rental of audiovisual equipment for production companies, studios and freelancers. Intellectsoft is a full-service software and mobile application development company with an expansive set of competencies to meet your enterprise needs. Theo is a composer and sound designer, for film, games and visual media. His credits include the award winning animation “Scaredy Bat”, the Cannes and Tribeca Short-selected “Curpigeon”, the Canadian production feature film “Chokeslam” and Japanese Anime song for “Made in Abyss” alongside Raj Ramayya. On video games, Theo has worked on “Realm Defense” and most recently, composed for the new game “Deadwood Mansion” from the Hong Kong company Glo Inc.
SCRY makes transformative virtual experiences and develops innovative projects with new technologies for the betterment of society. Psious is a Spanish company based in Silicon Valley. Our team of psychologists, designers and engineers work together to create the first immersive and interactive Virtual Reality platform applied to mental health. Psious is a platform aimed at mental health professionals that can improve therapies for anxiety disorders thanks to medical evidence from more than 20 years of research. Founded in the Show Me State (Missouri) in 2014, ShowMeVirtual is St. Louis’ first virtual reality production company, now also serving the greater NYC area. We immerse the audience inside your world by leveraging marketing, fan experience, and VR, AR, and 360° video expertise to craft premium branded experiences. SYNMARTEC er sammensatt av entusiaster som er lidenskapelig opptatt av forskjellige fagfelt. Vi er et team av dyktige programmerere, designere, strateger, prosjektledere og rådgivere. Utviklermiljø med lang erfaring innen utvikling av programvare og design sitter i Serbia. Rune is a Manual Therapist interested in the various use cases for VR AR MR and 360 in patient treatment. 3d-Viewing provides 3D Interactive Tours (powered by Matterport), that allows an immersive customer experience, something that is engaging and fascinating.